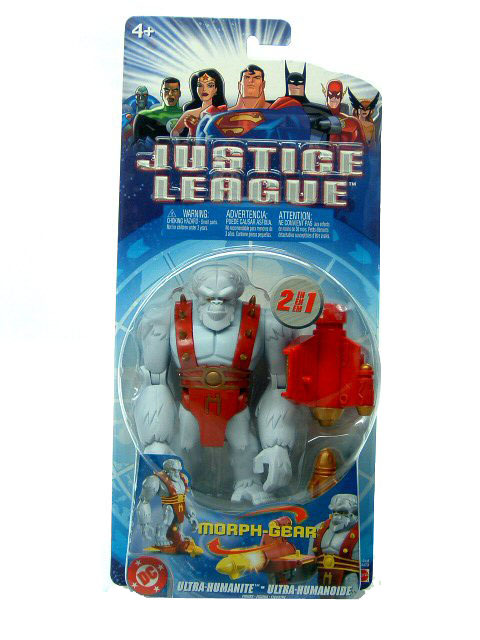 2004 Justice League Ultra-Humanite Mint on Card. Original Release. "What do you take me for? A troglodyte!?" Ultra-Humanite was an albino gorilla-humanoid whose intelligence is far superior to most men. Unfortunately, his true talents were not put to use when he served as a member of the Injustice Gang.